We had a very special visit today from a former pupil of St. Mary’s NS. 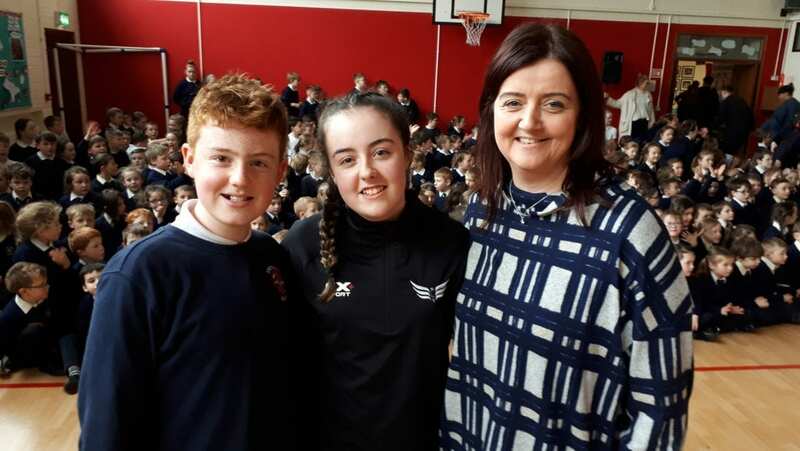 Caitlin Rooney (pictured with Mam, Debbie and brother, Mark) and her dance group, Fly Youth. Fly Youth will perform live on the final of Ireland’s Got Talent this Sunday and we were wowed today by their performance in Halla Setanta. The message we all got was loud and clear….VOTE FLY YOUTH this Sunday evening!